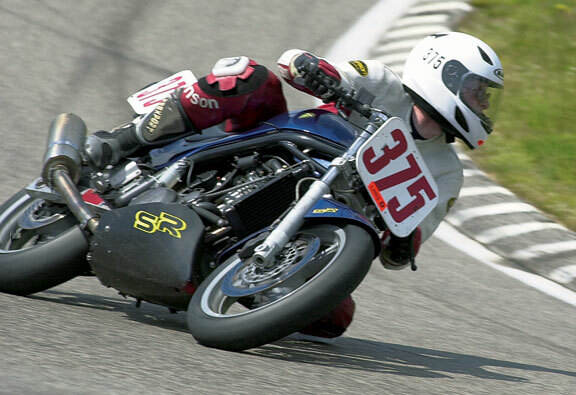 No doubt that being able to quickly and precisely flick a motorcycle into a corner can make you a cornering hero. However, the physical act of cornering is only one aspect of cornering mastery. Safe and skillful cornering also requires that you gather information about the corner—information gathered through your eyes. When cornering, your eyes alert you to any obvious hazards, help you determine how tight the curve is and allow you to identify any corner characteristics that might affect your safety. But, simply looking ahead isn’t enough to get the information you need. There is a difference between “Looking” and “Seeing”. Also, how you look is critical. A lazy gaze will get you nowhere fast. Aggressively scanning and searching for specific targets is much more effective. The first thing to do is get your eyes up! The earlier you spot a hazard or identify a corner’s characteristics, the less likely you are to act out of panic. Looking well ahead also reduces “speed anxiety” by slowing down the landscape. A slower perceived rate of speed offers a greater feeling of control and minimizes the effects of speed-induced anxiety. 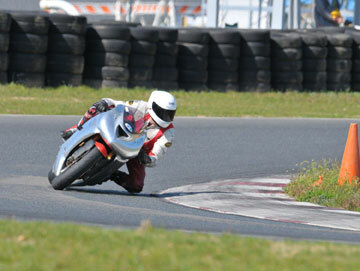 When cornering, look as far ahead as you can, all the way to the corner’s exit if possible. How far ahead you are able to see depends largely on the environment. You can scan to the horizon in corners that are open, flat and unobstructed. However, in forested or hilly locations you will encounter many blind corners that provide little sight distance. This lack of visual lead time can make it difficult to see unexpected roadway hazards until it is too late. Ride at a speed that matches the amount of visual lead time you have. If you are riding too fast to process the information, you will be behind the eight ball and not have enough time to react. There are often roadside objects that hide critical information. Always enter turns at a speed that takes into account the lack of visual information and allows you ample time and space to avoid whatever might be around the bend. Skillful cornering requires accurate visual information about a corner’s radius, camber and surface quality so you can determine the right entry speed. A too-fast entry speed is responsible for the majority of single-vehicle crashes as the panicked rider target fixates and runs off the road or grabs the brakes and crashes. Use visual information to determine whether your pace is within your comfort zone. There’s a lot to look for on the street. 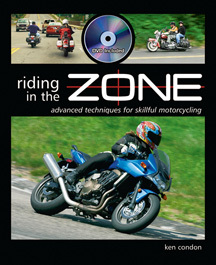 By looking well ahead you can evaluate a corner’s unique characteristics and come up with a cornering plan. Certain roadside features can help you identify a corner’s character and allow you to establish a plan to help you decide what line you’re going to take and where you’re going to get on the gas. One useful visual target that helps you make this plan is the “vanishing point” where the white painted fog lines or painted centerline visually converge. On the track, there are no lines, so use the edges of the pavement. How soon the lines or pavement edges converge in the distance help to determine how tight a corner is and which way the surface slopes. If the lines or pavement edges converge in the near distance, then you can count on a tightening corner radius. On the other hand, a distant vanishing point indicates a larger radius or a curve that is ending. This information can also help you determine road camber or slope. When a road is positively banked, the road edges do not come together right away. Looking where you want to go can help direct your motorcycle through the turn. This is commonly known as “visual direction control”. Visual direction control is essentially your eyes telling your mind where you want the motorcycle to go next. 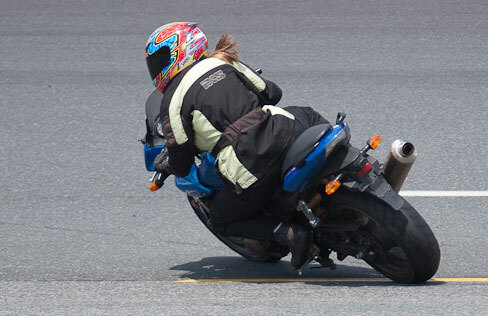 When cornering, point your eyes to the corner’s exit to help direct your motorcycle on the desired path. Riders who discover the benefits of looking well ahead when cornering often comment on how much easier their motorcycle seems to turn. Your eyes must move quickly between the corner locations while at the same time scanning for surface hazards. Keep the majority of your vision well ahead into the corner, however you may need to look down briefly to monitor the surface condition as it nears. Do this by using quick downward glances. Continually gather information from near and far with upward and downward, and side-to-side search pattern. Scan aggressively to gather as much information as you can about the road surface and corner characteristics. Finally, look through the turn to the exit and identify what is in store farther up the road. Always be looking for reference points when riding on the track. Reference points help you place your tires exactly where you need them to be. Reference points are somewhat less helpful or necessary on the street, because speeds are low where precision is less critical. But on the racetrack where you visit each corner many times a day and where the speeds are much greater, reference points are critical and a relatively small miscue can result in an off-track excursion. Once you establish the best cornering line, you can then use reference points to make sure you are always on that line lap after lap. Cones, pavement stains and cracks, as well as distant visual targets (trees) can all be effective reference points. 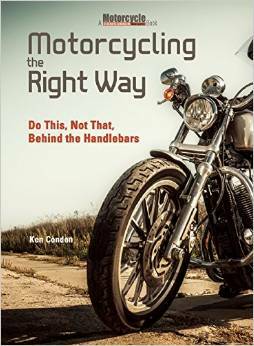 To make visual direction control work for you, look into the curve and then continue to move your vision along the desired cornering path all the way to the corner exit as though your eyes are pulling the motorcycle through the turn. Your eyes cannot help but stop to focus on small targets as you scan ahead. Look around the room, trying to not have your eyes “flick” slightly as you scan. You can’t. So let this natural occurrence work for you. Imagine your eyes moving through a corner in a sort of ratcheting way, very briefly noticing visual targets and reference points along the way. Put all these “dots” together to make a smooth corner. Visual direction control can work for or against you. It can work against you if your eyes fix on a hazard that you need to avoid, which is what we tend to do under threatening situations. “Target Fixation” is the term used to describe this response. The problem is that if you look at a hazard, such as a patch of sand or the edge of the road, you will likely end up riding directly toward it. If a panicked rider were able to keep his vision and attention focused on the corner’s exit he will have a fighting chance of making it. I’ve seen time and again riders who give up on making a corner even when the bike is capable of leaning further and completing the turn. Focus on the solution, not the problem! The same goes with passing on the racetrack. If you fixate on the tail of the rider ahead you will have a harder time getting by. But, if you look past the slower bike and trust your peripheral vision to monitor the slower bike, then you can dispatch the backmarker much more easily. Avoiding target fixation is easier said than done, because we are naturally wired to closely monitor threats with our eyes. It is therefore important to train yourself not to do what comes naturally and instead look away from a threat. On your next ride, consciously look away from road surface obstacles, such as a manhole cover, pothole or road kill and look toward an escape route. Continue to increase awareness of this problem and practice to make the solution second nature. When it comes to cornering, consciously look farther ahead. And don’t just look, but see the information that is most meaningful. On the track, look farther ahead. If an obstacle, such as airfence, or a cresting hill blocks your view, look “through” it so your eyes are where you need them to be in the next second when the obstacle is no longer in the way. What visual techniques have you discovered that help you? Years ago I did advanced rider training. The scariest moment was seeing a student, a girl in her mid 20s who had been riding for some years, strangely go wide on a corner and into a patch of soft gravel, and then to go down. We were lucky, she didn’t get hurt and the bike suffered only cosmetic damage. She saw the gravel, and for some reason fixated on it. It was well outside of her line of travel and her bike could easily do that corner at those speeds. But for some reason she fixated and hit the gravel she was suddenly focused on. Looking for the “exit” has saved my skin a few times, with errant animals, errant drivers (and a couple of riders! ), and errant self. Target fixation can kill you, or you can turn it into something that will save you. Another suggestion is get out and practice practice practice. Find a quiet car park and practice slow speed maneuvers, swerving and braking. Get to know your bike, know what she can do, and know how to bring her to a quick stop from fully leaned over in a curve. I went into a very tight curve way too hot on a cruiser just a few weeks back. No where else to go, sparks coming off the crash bars (which are the lowest point on this bike, not the pegs!) – no more lean in the bike. What I was able to do was pick her up a bit, hard on the brakes to wash off a lot of speed, then back down into the turn at a speed the bike could get through safely. If I didn’t practice, I would’ve run wide and into the oncoming lane. But knowing and practicing what to do meant I was able to get out of that situation without wasting too much time thinking.